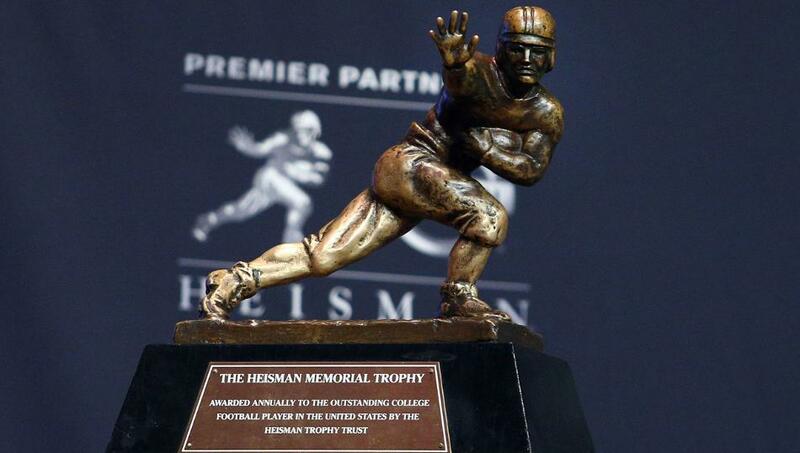 Quarterbacks have dominated the Heisman Trophy voting over the years and more recently this position has taken home the award in 10 of the last 12 seasons as the most outstanding player in college football. Back in 2009, Alabama running back Mark Ingram won that season’s Heisman and another Crimson Tide runner took home those honors in 2015 with Derrick Henry winning the award. The recently updated futures odds at BetAnySports to win this season’s Heismam in point towards another running back adding his name to this prestigious list of winners. The player at the top of this list is Stanford running back Bryce Love at +650 betting odds to win. He finished a distant second to Baker Mayfield in last year’s Heisman voting after rushing for 2,118 yards and 19 touchdowns on 263 carries as a junior. This equates to an impressive 8.1 yards for each rushing attempt. With a solid offense line still in place and a Cardinal game plan heavily predicated on the run, there is quite a bit of value in Bryce’s odds to win this award in 2018. Second on the list at BetAnySports is Alabama quarterback Tu Tagovaiola at +700 odds. This would be a high risk/reward wager considering that he is still battling Jalen Hurts for the starting job. Hurts played the majority of the snaps during last season’s run to the 2017 College Football Playoff Championship, but Tagovaiola got most of the credit for leading the Crimson Tide to the title in an overtime victory against SEC rival Georgia. Jonathan Taylor was the lead back for Wisconsin’s power running game last season. He rushed for 1,977 yards and 13 touchdowns on 299 carries as a freshman to finish sixth in the Heisman voting. You already know that the Badgers are big on running the ball and Taylor has already proven he can carry the load. The one thing working against his +800 betting odds to win the 2018 Heisman is the fact that he is just a sophomore and Love is a senior. All things being equal, the voters would probably lean towards the upperclassman. Check out their review over here. The betting odds at BetAnySports drop off from there with Jake Fromm next on the list at +1450 followed by Khalil Tate (+1500) and Dwayne Haskins (+1600). Will Grier and Trevor Lawrence each have +1750 odds to win, while Shea Patterson (+1800) and JK Dobbins (+1900) round out the Top 10 players on the list.